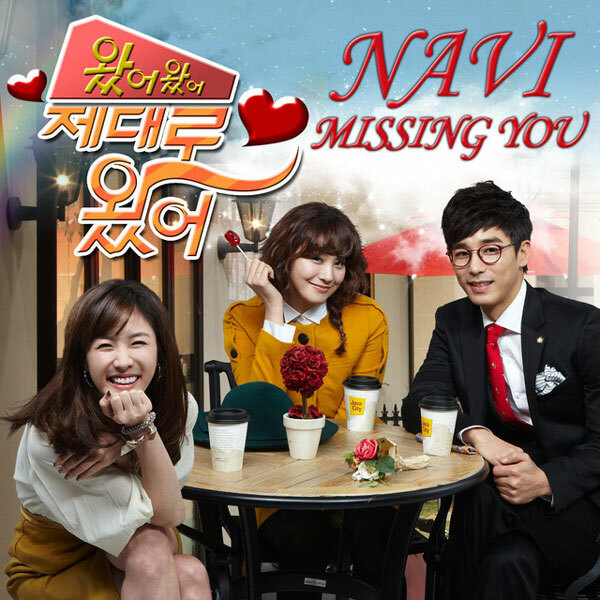 Korean singer Navi (나비) has released her OST track for MBN sitcom drama series Come, Come, Absolutely Come (왔어 왔어 제대로 왔어) on December 7, 2011. The title of the original soundtrack is “Missing You,” featuring Pae Nuri (배누리) of FIX. “Missing You” is composed by Gavy NJ and KCM, and produced by a famous producer Min Myung Ki. The clear and beautiful voice of Navi enhanced the song’s medium tempo and smooth melody. Listen to Missing You at YouTube. 솜사탕처럼 부드럽게 내 맘을 녹여 놓았던 ex I’ll be missing you. somsatangcheoleom budeuleobge nae mam-eul nog-yeo noh-assdeon ex I’ll be missing you. nal balabwa Say I love you. Say I love you.